Manchester is a booming industrial city in northwestern England. The city is known for having been one of the world’s leading textile producers in the 18th century, and this entire industrial history of the city can be found in the Museum of Science & Industry. It has also become one of the world’s prime tourist attractions owing to its rich cultural and sports facilities, such as the Opera House, and the Chill Factor. 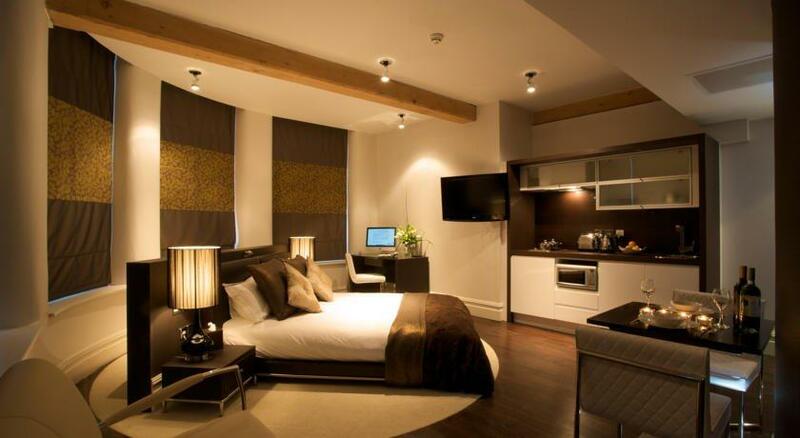 When in Manchester, you should stay in one of the following boutique hotels. 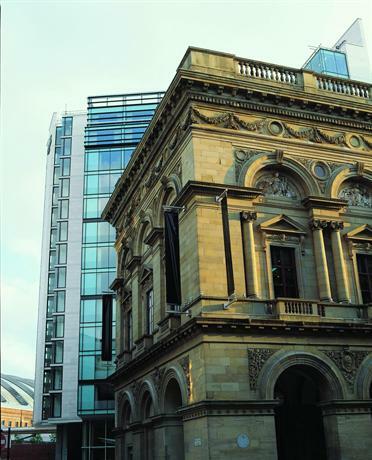 This is a hotel established over one of Manchester’s grandest buildings. It used to be a building that held a bank, but now it has been turned over into a grand Art Deco building. The hotel feature some eccentric and intricate details such as vintage decorations lining the hallways and rich velvet furnitures. The entire atmosphere of the hotel seems suffused with mystery, and all the vintage decorations gives it a historical charm as if plucked from the pages of history itself. Even the 60 rooms of the hotel consist of these quirky details, for example they include laundry bags that look like money-bags, in a slight wink to the hotel’s past as a banking establishment. 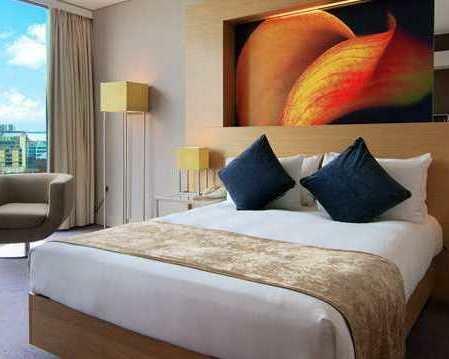 The color palette of the hotel consists of black, grey, and gold, and as such feels sleek, trendy, and cool. 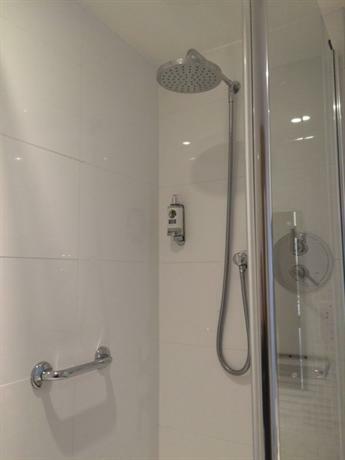 All of the rooms are trendy, however the hotel really does outdo itself with the Bank Manager’s Suites, which features a roll-top bath and an en-suite shower! If you’d like to take a day just to explore the hotel and relax, there’s plenty to see in this establishment. If you’re looking for some theatrical fun and some food, you can go to the Honey Restaurant or if you want to be out under the open skies you can go to the Club Brass Roof Terrace. There are several things about this boutique hotel that make it truly unique. First off, it’s hailed as one of the Leading Hotels of the World. But more so than that, this is where the cult classic British characters — Dandy and Beano — were first printed and distributed. As such, this hotel comes with a truly eccentric history and charm! Considering the fact that the hotel consists of 165 bedrooms, it might be a hard sell to call it a “boutique hotel”, however the hotel has a quirky charm and history that I feel earns that label. When you’re in the mood for some nibbles, you should make your way to the River Restaurant and River Bar, both of which offer delicious British cuisine to its guests. In addition to that, the hotel also features a vast library complete with some grand vintage titles that you can’t find anywhere else. As such, it’s a true haven for bibliophiles as well. If you’re in the mood to stay in the hotel for a day, you won’t be out of activities. In fact, the hotel has been designed in such a way that guests can generally loiter around leisurely, thus also increasing their chances of striking some interesting and worthy interactions. This boutique hotel has been established over the structure that once was a Victorian school house, and as such when you stay at this hotel you feel like you’re staying at a super luxurious boarding school, thus bringing back all the nostalgia that goes with it. In keeping with the quirky schoolhouse aesthetic, the hotel features a wide library housing some classic vintage titles, and the furnishings are spacious, and even features a fire burning stove. It’s a perfect spot to hang around in the evenings and interact with other guests over your shared love of books. Even if you’re not a bibliophile yourself, you can still come over to this area as it’s a great spot for parties. Another quirky detail of the hotel is the fact that the business rooms and meeting rooms here are called the Headmaster’s Office and the Boys’ & Girls’ Classrooms. The rooms feature antique furniture with goose feather pillows, rain showers, and even roll-top baths! If you check into one of the suites of the hotel, such as the Opus Grand Suites, you’ll be treated to true luxury with a separate lounge area in your suite and original antique furnishings. If you’re someone who enjoys a touch of nostalgia along with the availability of luxury, if you want to stay in a hotel that has something truly eccentric about it, then this is the one for you. 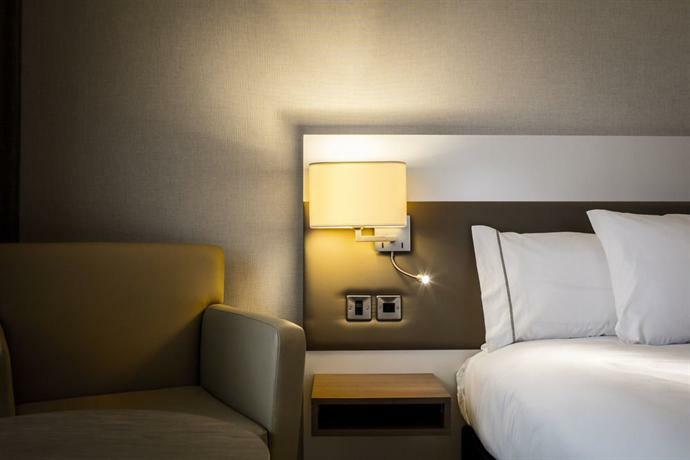 Crowne Plaza is located in the Northern Quarter of the city, and is within close vicinity of Exchange Square which is the city’s prime area when it comes to shopping in some truly lovely boutiques and fashion outlets. The hotel is replete with some truly eccentric details. 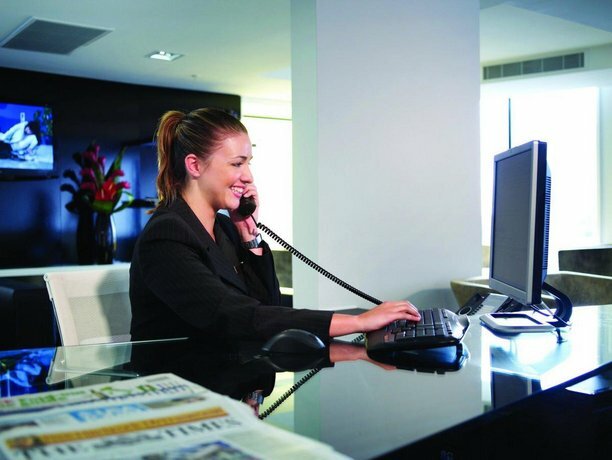 For example, the entire hotel makes use of some bold colors, such as the hot pink of the reception desk. In fact, even the male staff of the hotel wears hot-pink ties. As such, the hotel embodies a lively and eccentric aesthetic that is sure to go down well with people. The interiors of the hotel have also been decorated in quite a quirky manner. While the floors, ceilings, and even the walls are mostly done in black and while, the furnishings bear bold bright colors such as red chaises lounges, or the aforementioned pink receptionist desk. There are 228 modern rooms in the establishment, but despite the grand scale of the hotel, it still packs a lively and intimate vibe. One of the drawbacks of the hotel is that its immediate neighborhood has changed quite dramatically over the years, and as such some of the rooms bear views of other buildings, however that can be avoided if you choose carefully. The club rooms offer better views, and even offers access to the club lounge and all its accompanying treats. 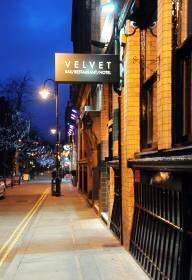 Abel Heywood is located on Turner Street, which is one of the most lively and vibrant parts of the Northern Quarter. The neighborhood is replete with boutique shopping stores and charming quirky roadside cafes. You can also walk over to the trendy areas of Exchange Square and Market Street, both of which feature some of the trendiest shopping stores in all of Manchester. The Piccadilly train station is just a ten minutes walk from the hotel and as such the boutique hotel is also well connected to the rest of the city. One of the things that makes this luxurious hotel a true “boutique” is the fact that it has a rich and vibrant history. The name of the hotel is based on Abel Heywood, who was a rather popular publisher and mayor in the early 19th century, and he was known for his publications of penny guidebooks for all the major tourist areas. As such, the hotel honors that heritage by naming all of its rooms after his penny guidebooks, and even prints them out along with a hotel newspaper! Even the in-house pub pays homage to the Victorian era, with large wooden bars, tables, and the presence of mismatched chairs. The walls of the hotel are replete with pictures of the city and the TV is always tuned into Manchester BBC constantly buzzing in the background, making you truly feel like you belong in the city. If you’re a lover of history and heritage, then this is the boutique hotel for you. 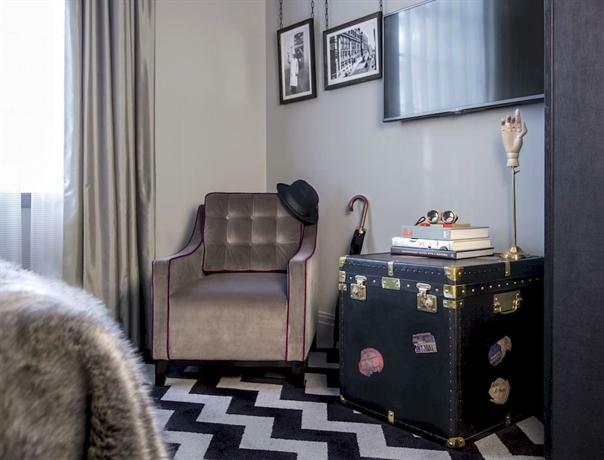 This boutique hotel is situated on Canal Street in the buzzing Gay Village. It’s a truly hip and trendy location replete with quirky restaurants, clubs, and brooding bars. It’s also well connected to the rest of the city as the Piccadilly railway station is within close vicinity. This boutique hotel is five-storey tall, and its interiors are bedecked with stunning artworks, crystal chandeliers, and trendy bars. The hotel features 19 bedrooms, and as such it feels truly intimate. While some of the rooms bear a feminine and gentle aesthetic, others are dark and heavy with mahogany furnishings. 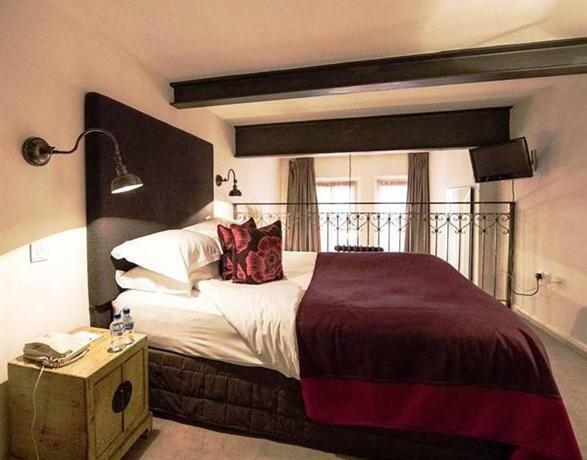 This boutique hotel is quite well located as it’s within close vicinity of the Piccadilly train station, Canal Street, and even the trendy neighborhood of Northern Quarter. If you’re looking for some boutique shopping outlets then you’re also close to Exchange Square and Market Street. This hotel is quintessentially modern and truly hip with 285 rooms, all of them decorated minimally with large soaring windows, plenty of natural light, and an aesthetic that is light, white, and breezy. The reception desk is make of a mirrored surface, and that is a detail revisited quite often in the general decor of the hotel, making it seem even larger than it already is. 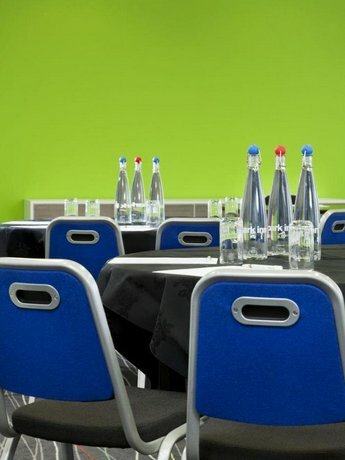 The Holiday Inn is located in the MediaCityUK neighborhood, with several prime media houses nearby. As such, the hotel is located in a place of business, and isn’t exactly the most picturesque to look at, however it has some truly redeeming qualities. The hotel has been designed in an aesthetic that feels strangely reminiscent of a 60s office block. While that doesn’t sound immediately tempting, the hotel manages to pull off all the quirky details with a sense of humor and historic charm. The interiors of the hotel are bright, modern, and ultimately minimalist. They bear full-length windows to allow plenty of natural light, and the rooms bear details such as ergonomic desks, and a view of central Manchester and the Beetham Tower. 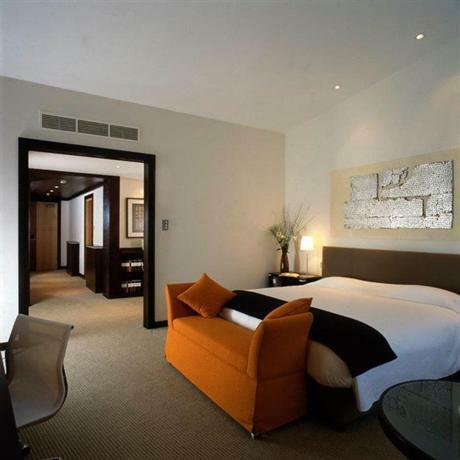 This boutique hotel is located near Portland Street and Princess Street, and it’s in a great location flanked by boutique stores and charming cafes. 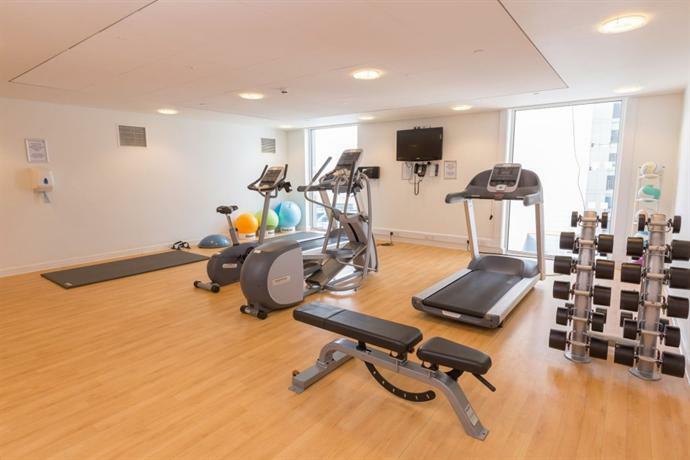 It’s in a prime location with such attractions as the Manchester Art Gallery and Chinatown. However, because of the location, the streets can often be full of rowdy people at night on their way back from pubs and bars. As far as the decor is concerned, this boutique hotel has some truly eccentric details such as exposed metal beams, and high vaulted ceilings. The color palette of the hotel is also quite wacky with bold yellow carpets juxtaposed with black wallpapers. 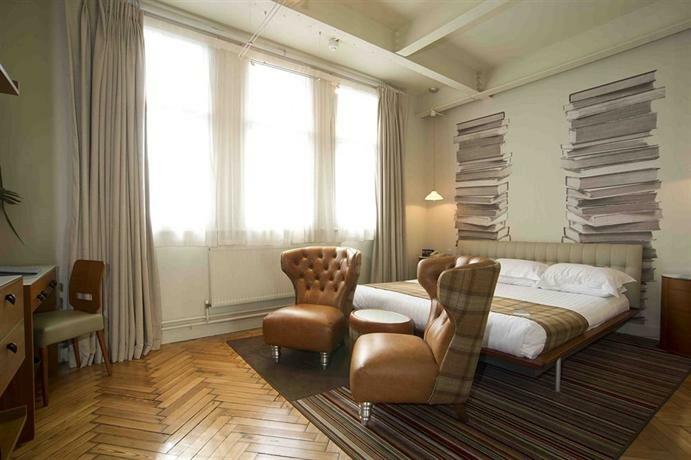 This boutique hotel is located smack right in the middle of Manchester city. The structure on which it’s based was built way back in 1858, however it was refurnished into a sprawling boutique hotel only recently in 2004. The Radisson Blu Edwardian Manchester still bears its original façade, and has been decorated in a truly decadent yet trendy manner that harkens back to its heritage as a Free Trade Hall while also looking into the future with the presence of all modern amenities. 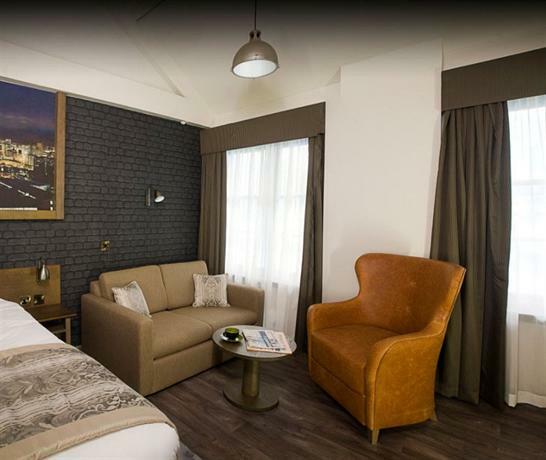 This boutique hotel is located within the iconic Beetham Tower, and is located in the ideal location for all lovers of Sports. The Old Trafford and the Eithad Stadium are within walking distance of the hotel, and if you're not into sports then you can find yourself in one of the many boutique shops and cafes that line the streets. If you’d like to get a drink, you should walk on over to Cloud 23, which is the city’s most popular bar. If you’d like to truly be pampered and spoilt, you should get the Executive Room which boasts some of the best views in the city. The Abode is a truly eccentric and quirky boutique hotel located within a structure that used to be a Victorian cotton merchant’s wholesale warehouse! It’s a hotel with plenty of style and edge, suitable for people who like their extravaganza mixed in with some historical weight. The hotel also features some lovely period furnishings such as ironwork columns and parquet flooring. If you’re a fan of art then it will please you to know that the hotel has a collection some original artworks from internationally acclaimed artists such as Yoko Ono and David Hockney. This boutique hotel has one of the most interesting views in all of Manchester. It looks out at the Strangeways prison. As such, it doesn’t have the prettiest view, but certainly one of the most noteworthy. The Manchester Arena is just opposite to the hotel so it’s ideal if you’re in the city to catch a concert. The quirky and vibrant Northern Quarter with its accompanying nightlife is just 10 minutes away. This hotel can truly embody a “boutique” aesthetic because of its vibrant and colorful interiors as opposed to the more minimalist approach of most luxury hotels. 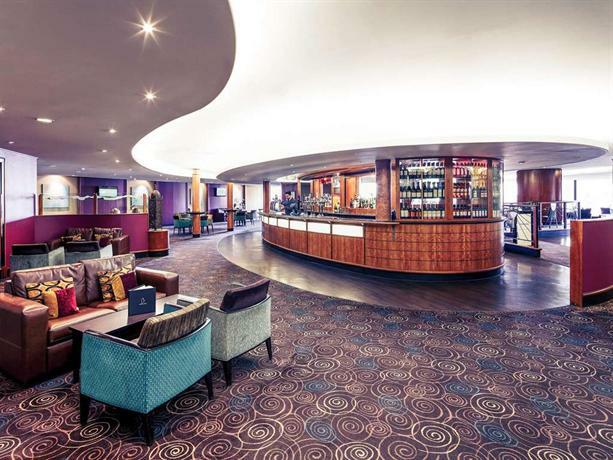 This boutique hotel is within close vicinity of the Lowry arts centre and the Old Trafford Football Club, and as such it’s ideal for art travelers and sports travelers. The entire hotel has been designed in a manner appealing to the Millennial crowd, and as such open-plan is the predominating aesthetic motif of the hotel. The rooms are done in simple brown and white colors, no additional frills and no display of opulence. If you get one of the higher odd-numbered rooms, you can help yourself to a grand view of the Salford Quays. This is the only hotel in all of Manchester that boasts a view of both the Etihad Stadium and Old Trafford from one of the top floors. While the hotel is ideal for football lovers, it’s also within close vicinity of the party neighborhoods of Northern Quarter and Gay Village, and as such all are welcome to this boutique hotel. It’s also the least expensive hotel you can find that also offers a luxurious stay, with a boutique sensibility, and a prime connection.